I ACQUIRED PROFESSIONAL SKILLS IN THE MOST ADVANCED ENVIRONMENT, WITH GENEROUS SUPPORT FROM UNIVERSITIES. I always liked Japanese TV dramas and music, and was interested in the Japanese language so much that I studied it at school. Also, drawing was always my favorite thing to do since I was little, so I&apos;ve come to want to work as a designer in Japan in the future. I entered a Japanese university to study design. But without enough support from the university, I was not able to keep on studying by myself. Most facilities and equipments were out-dated and I found it difficult to improving my designing skills. Then, I saw MODE GAKUEN&apos;s TV commercial. I felt fascinated and visited the campus. The building and the facilities looked excellent, and I thought I found myself the most advanced environment to study. I also liked the fact they give full support to the students, and thought that this is the best choice to grow myself to get the career I want. I immediately joined MODE GAKUEN. I was concerned about being able to make friends at first because my classmates were of different ages, but we became friends very soon. All of them were very caring, talking to me, and very cheerful. Though I come from a different country and of different age, they warmly accepted me. I too became very cheerful, and really enjoyed school life every day. 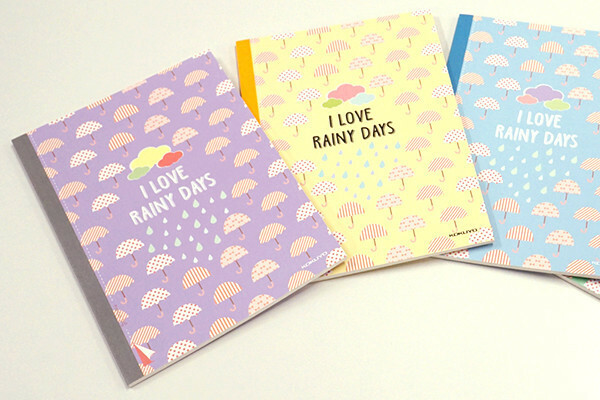 THE NOTEBOOK I DESIGNED AT SCHOOL WENT ON SALE IN CHINA. Learning from the teachers with real industry experiences, I was able to thoroughly master the knowledge and techniques required to become a professional, starting from basics. In addition, I discovered new optional fields to work in the future through studying wide range of design - illustrations, editorial design, web design, etc. One especially impressive thing was the design competition of notebook cover page, set for sale in China. 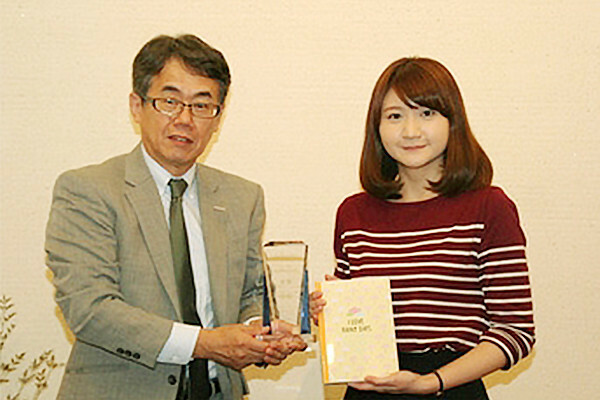 It was an "academia-industry cooperation" program between MODE GAKUEN and a Chinese Corporation member of Kokuyo, a huge Japanese stationary manufacturer. It was difficult to research the consumer needs, but received support from the Kokuyo people. Fortunately, I won the first prize, and my design went on sale in China. Thanks to this experience, I became confident, and acquired practical skills and learned the importance of always working with professional attitude. I HAD OVERCOME MY WEAKNESSES – FORMAL JAPANESE, AND FOUND A JOB AS A GRAPHIC DESINGER. THE JOB OF MY DREAMS. My homeroom teacher in charge of job search carefully trained my in the skills that professional should have, such as how to make the portfolio (collection of my works to present at job interviews), as well as interview skills, manners, etc. I was not good at speaking formal Japanese, but I was able to solve this problem by taking business training classes. Thanks to them I was able to do well in the job search activities and get job offers from companies. I felt very assured and was able to concentrate on studying because MODE GAKUEN provided specialists in charge of international students. They gave me all kinds of advices, from school matters to daily life customs in Japan. Also, I received advises from my homeroom teachers on life in Japan in general, and moreover, how women work in Japan. I trusted the teacher as if she were my mother, and she taught me patiently until I understand, with kindness and seriousness. In the last class before our graduation, I was moved by my homeroom teacher&apos;s tears. There were any hard and difficult experiences, but it was gratifying to taste the joy and achievement from daily efforts resulting in great outcomes. I think joining MODE GAKUEN was the best choice for myself.